August 26, 2016 11:04 am. Raced on the same day as The Metropolitan and the Epsom Handicap in early October at Randwick, the Flight Stakes is a Group 1 race worth half a million dolalrs. The 1600m race for three-year-old fillies is Sydney’s premier juvenile race for fillies and the winners list is an incredible list of champion runners. The Flight Stakes is the fourth leg of the Princess series for fillies which includes the Silver Shadow Stakes, The Furious Stakes and the Tea Rose Stakes. Only one horse has won all four with Samantha Miss creating history in 2008. It’s a race which is typically won by future top-liners and it continues to stand the test of time as one of Australia’s best horse races. Punters love this aspect about the Flight Stakes and the favoured runners are usually heavily-backed in the win markets. There are no odds up for the 2019 Flight Stakes. Horse Betting will keep you updated as soon as markets become available. One of the most popular betting races during the year, the Flight Stakes attracts big and small punters throughout Australia. The bigger punters see the race as a good opportunity to find a potential champion at a good price and the general public love seeing good thoroughbreds in action. Due to it being the final leg of a series, it’s tough for bookmakers to open markets early. Our recommended bookmakers will open All In markets which offer nice odds, but there is the risk that your runner won’t start. Fixed odds markets will be opened with the following bookmakers. Betting the Flight Stakes has been relatively straight forward in recent history. Apart from upset winner Secret Admirer in 2010 which paid $16, the winners have been well-found in the market. Six of the last 10 favourites have won and the 2014 and 2015 winners both paid a slim price of $2.25. Guelph won in 2013 paying an extremely skinny $1.30 with bookmakers. The Darley filly had an excellent record and it was the shortest-priced winner in Flight Stakes history. Yankee Rose ran as the $1.90 favourite in 2016, but subsequently finished second behind Global Glamour which closed at $6.50 with bookmakers. Since 1983, there has been only four double-figure odds winners. Punters should look towards the favourites as this is a champion-making mile and the good horses are set for this. The champions which have won the Flight Stakes include Sunline, More Joyous and Samantha Miss. All three were heavy favourites coming into the race and scored impressive wins. There have been some well-fancied beaten runners, too. Champion mare Winx finished second in 2014 behind First Seal, More Strawberries was beaten by Secret Admirer in 2010 and a host of other horses have been placed behind the winners. The best form guide leading into the Flight Stakes is the Tea Rose Stakes. Twelve horses have come out of the Tea Rose with eight completing the double. The rise up to 1600m from the 1400m is ideal for the improving fillies so keep an eye on all of the Princess series races. 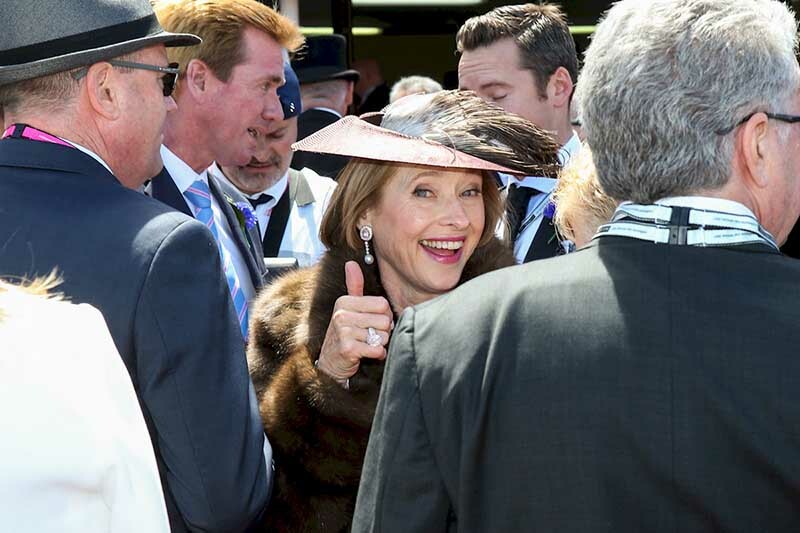 Gai Waterhouse has won the Flight Stakes on nine occasions from 29 starts. Her ninth win came in 2016 with Global Glamour in partnership with Adrian Bott. Jockey Hugh Bowman has won the Flight Stakes four times from 10 starts. Tony McEvoy-trained filly Oohood had the unwanted moniker of “best maiden in the country” after a number of brilliant group runs, but the tag was shaken off in the Flight Stakes in spectacular fashion. In a driving finish where four horses where all legitimate chances heading to the line Oohood stuck the neck out at the perfect time to secure a famous win. Alizee again showed its true ability by winning the Flight Stakes in emphatic fashion. The James Cummings-trained filly entered the race having beaten a similar field and it made mince meat of them again at Randwick. The 2.25-length win came over Golden Rose placegetter Champagne Cuddles with Cellargirl a further 2.25 lengths back in third. Read report here. Gai Waterhouse scored her ninth Flight Stakes win when Global Glamour led from start to finish. In training partnership with Adrian Bott, who won his first Flight Stakes, the three-year-old filly defied an early track bias by leading from the outset and breaking the hearts of its rivals. Global Glamour had been unlucky during its first two spring campaign starts, but jockey Tim Clark took luck out of the occasion. Top fluctuation of $7 was offered for the daughter of Star Witness. Read full report. Speak Fondly gave Gai Waterhouse her eighth Flight Stakes victory in 2015 when the filly fought back on the line to beat Honesta. The daughter of Northern Meteor showed its fighting characteristics with Tommy Berry in the saddle as the punters cheered the $2.25 favourite home. First Seal faced only a field of seven runners, but it provided one of the most impressive victories in Flight Stakes history. The John Thompson-trained filly defeated future champion Winx by three lengths in an effortless display of galloping. It was never able to recreate the same form, but the $700,000 sales purchase proved its worth on this occasion. Another small field was presented in 2013 with Guelph winning as the shortest-priced favourite in history. The Peter Snowden-trained filly won by 1.8 lengths over a field which didn’t contain many superstars. Most other contenders were scared off by Guelph and it did the job as expected. Norzita was an easy 2.5-length winner in 2012. The daughter of Thorn Park joined in with under 300m to go and raced away for the win over Longport and Dear Demi. It was an even field which included some nice types, but it was one-way traffic for Norzita. Hugh Bowman kicked home another winner with Streama in 2011, and it was a scintillating victory at that. The Guy Walter-trained filly came into the race with good form, but not many predicted it would win by 6.3 lengths. The beaten brigade included Hallowell Belle and Dowager Queen, which were both worthy contestants, but Streama left them for dust. It would continue to win throughout a strong career.